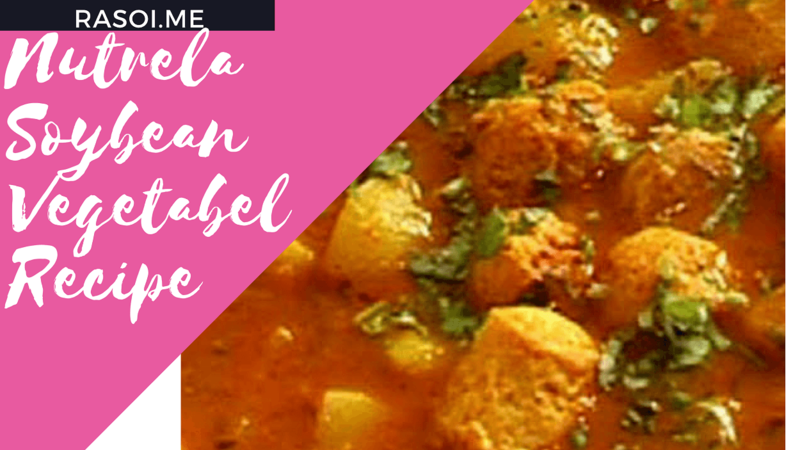 Nutrela Soybean chunk Vegetable Recipe is very tasty and easy to make it at home. Its protien and fiber full package vegetable. Soya Chunks are available in market so you can store and make it anytime. Watch this Soybean vegetable recipe make it at home and subscribe our youtube channel for more healthy tasty and instant recipes at home. We start to make this soybean chnuk vegetable take 100 gm Soybean or 1 bowl soybean and add the hot water soak that in water for half an hour then wash it 7- 8 time and press them to clean it. we start to make that. Heat 1 table spoon oil in the pressure cooker add 2 onion and green chilies chopped. Saute onion paste for 5 minutes on medium flame. Gravy is Ready then we can check with spoon then we add soybean into gravy and mix it. Take 4- 5 whistle in pressure cooker. Soybean chunk vegetable is healthy for all. Make it at home Enjoy the Healthy home made food. No Replies to "Nutrela Soybean chunk Vegetable Recipe"